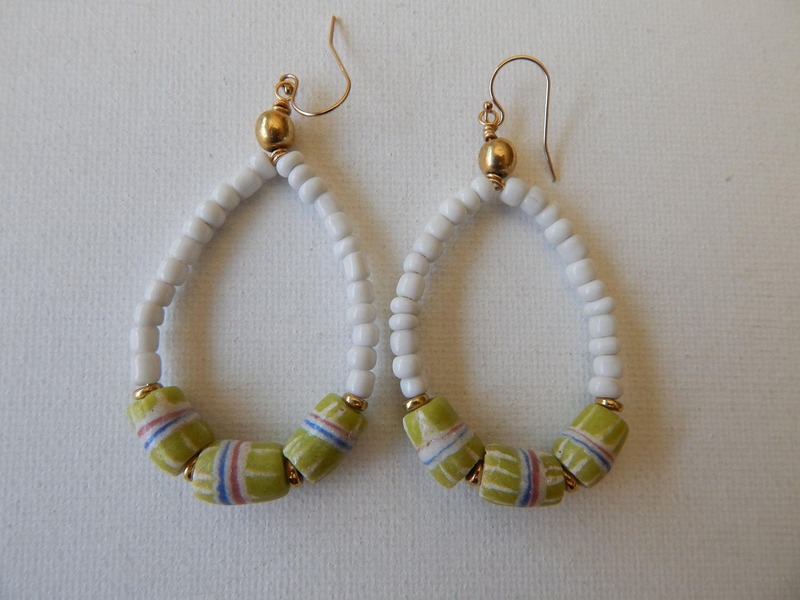 Teardrop shape earrings are decorated with white seed beads, african sandcast beads and brass findings. 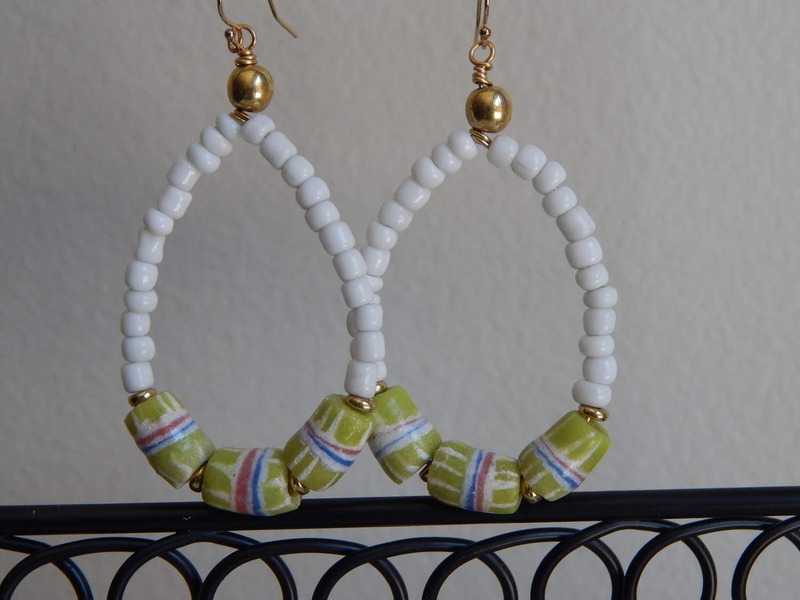 The bright green and white of the sandcast beads easily pairs with anything and adds a bright pop of color to your ears. Perfect for spring and summer. Earring drop is 2 inches on 14kt gold filled earwires. Comes is 2 other colors as well that you can find in my shop.